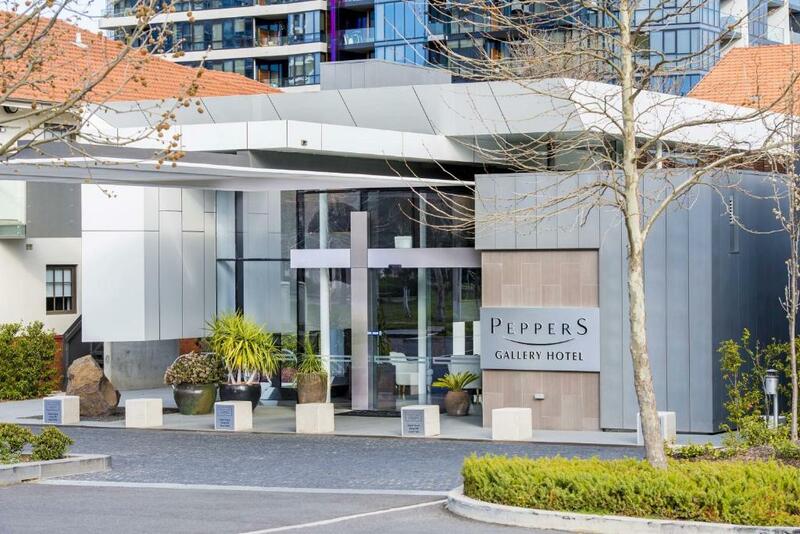 Lock in a great price for Peppers Gallery Hotel – rated 8.4 by recent guests! Cleanliness and staff was on the most part helpful and accommodating. We had 3 couples in this amazing 3 bedroom apartment. It was really nice. Wished we could have stayed longer. AWful staff, very rude, restaurant was very dirty, would not recommend staying here at all! Very comfortable and spacious. Staff were very friendly and courteous. 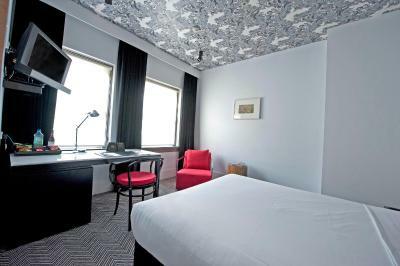 The rooms are small, cosy and comfortable. The bed was spacious and very comfortable which was great. The staff were great and friendly. Lovely stay and would recommend to others. Nice Hotel, hard to get into when you arrive at night. Navman put us around the side. Hotel staff helped to get us to the reception. Lovely café attached to the hotel friendly staff. 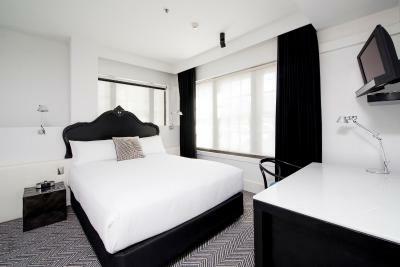 The rooms are nicely appointed and the bed is very comfortable. The restaurant was well patronized by a good mix of locals and hotel guests most likely because the food was fresh and delicious, the service attentive and prices certainly reasonable. Overal a good experience. The staff were exceptionally helpful and pleasant to deal with. They made the experience what it was. 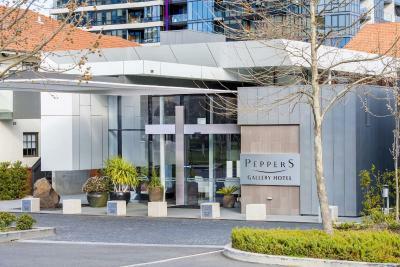 Peppers Gallery Hotel This rating is a reflection of how the property compares to the industry standard when it comes to price, facilities and services available. It's based on a self-evaluation by the property. Use this rating to help choose your stay! One of our best sellers in Canberra! 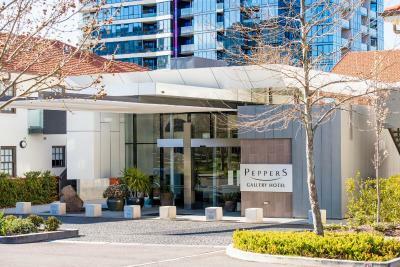 Peppers Gallery Hotel is a luxurious boutique hotel on the shores of Lake Burley Griffin. 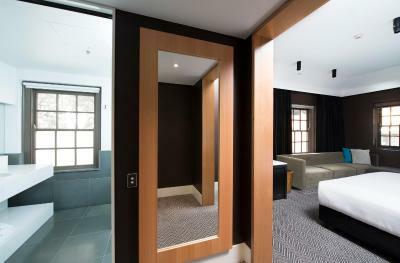 Each room is equipped with a Bang and Olufsen plasma-screen TV, iPod docking station and plunger coffee maker. 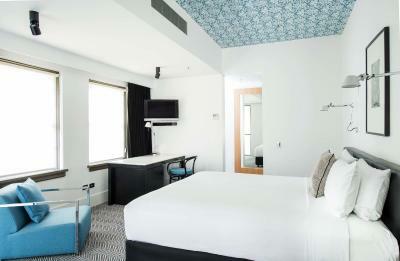 The hotel offers a fitness center, a spa and free Wi-Fi access in the lobby. 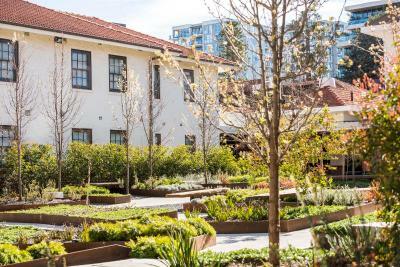 Bicicletta Restaurant serves Italian Cuisine specializing in homemade pasta and produce. You can enjoy a drink at Library Bar and there is a 24-hour food menu available for guests convenience. 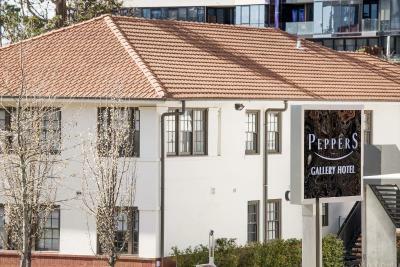 When would you like to stay at Peppers Gallery Hotel? 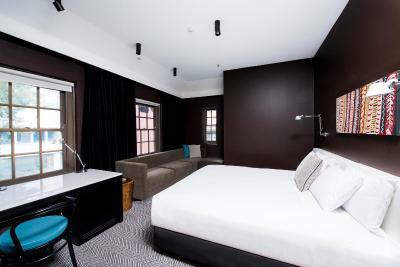 Includes a modern private bathroom, a work desk, a fully-stocked mini-bar and a flat screen TV with cable channels. It also offers superior linen and down pillows. 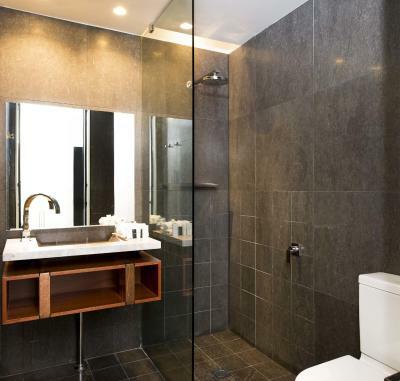 Includes a modern private bathroom with bathtub, fully-stocked mini-bar, large work desk and a flat screen TV with cable channels. It also offers superior linen and down pillows. 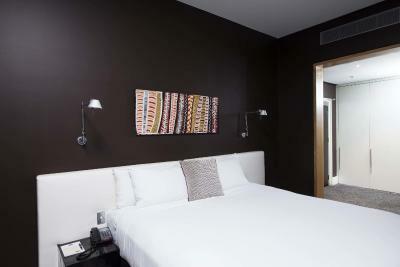 Includes private bathroom, a fully-stocked mini-bar and a flat-screen TV with cable channels. 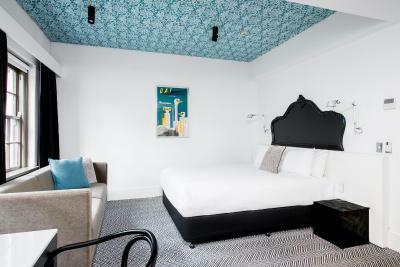 This air-conditioned room features a luxurious pillow top and pillows. 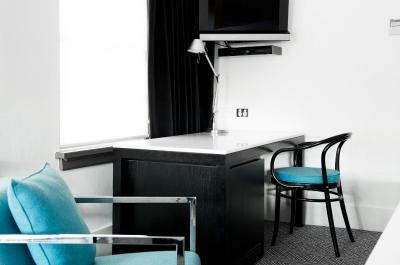 It also includes a work desk, flat screen TV and WiFi access. 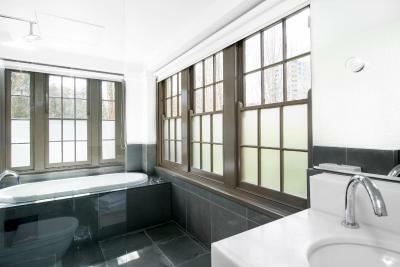 It has a modern private bathroom with a rain shower. This suite is the largest room in the heritage building. 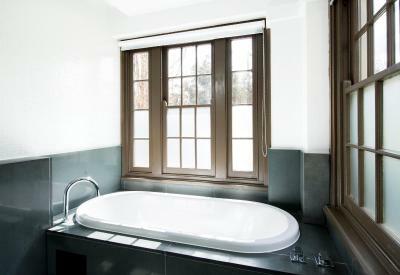 It features a separate lounge and dining area and a luxurious private bathroom. There is also a flat-screen TV and an iPod docking station. This one bedroom apartment has a full kitchen, a flat-screen TV and private laundry facilities. These apartments offers a spacious open living area with a fully equipped kitchen, dining and lounge area. The master bedroom features a en-suite. Spacious and elegant room with king-size bed, flat screen TV, large bathroom with rain shower and a luxurious over-sized bath. 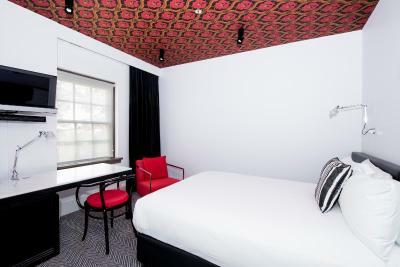 This double room has air conditioning and fully-stocked mini-bar. This offer Includes a cheese tasting platter on arrival, late check out at 12:00 and free breakfast for 2 guests. Guests also received a packet of plant seeds to take home to create their own garden. 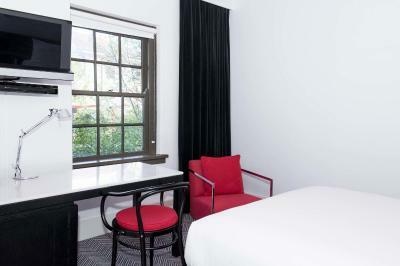 This king room features a seating area and a fully-stocked mini-bar. This special offer includes a 6-month subscription to 'Better Homes & Gardens' magazine (limited to 1 subscription per booking). 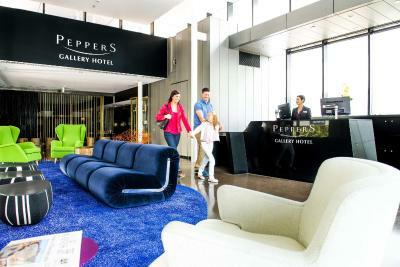 House Rules Peppers Gallery Hotel takes special requests – add in the next step! 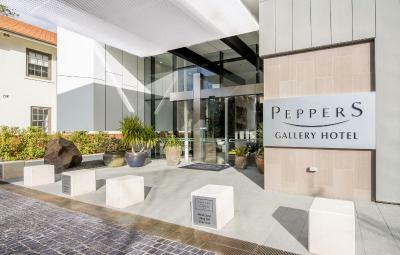 Peppers Gallery Hotel accepts these cards and reserves the right to temporarily hold an amount prior to arrival. Please note that access to a secure covered car park is available for an additional charge, on request. Please use the special request box when booking or contact the property using the contact details found on the booking confirmation. 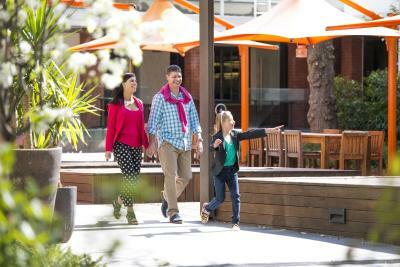 Please note that off-street, open-air car parking is available for $15 per day, subject to availability. 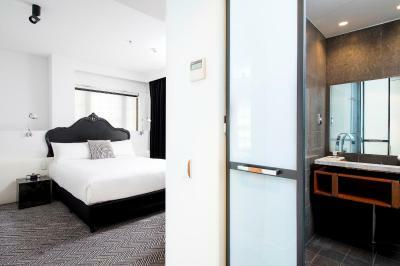 Please note that this property requires an AUD 200 credit card pre-authorization or cash deposit upon check in to cover any incidental charges. The lighting is inadequate in the room and the bathroom is tiny.The bathroom also doesn’t look clean as everything is so dark , when showering the water goes everywhere and also no where to hang the towels.The decor is so dark and even the ceiling had red and black wallpaper.We had to change rooms to get a window that opens in the room.The place needs renovation badly. The restaurant attached to this place is good. The room was extremely small and also had cigarette butts on the floor when we arrived. There was no plug provided for my pregnant wife to relax in a hot bath. The free movies for guests did not work properly as the network connection was not up to streaming the movies as they should have. The bed was extremely comfy, breakfast was a fantastic continental spread with a great choice of cooked meals. Parking was secure and easy to find. The room was very large and clean. Check in was clunky. Didn’t tell us breakfast was included, or where we got it. Directions to car park, including the map, were unclear. No milk in room for 3 days. Breakfast great. Art great. 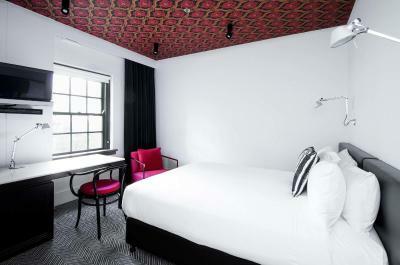 Very stylish hotel. The location was excellent. The apartment was modern and fresh. The Italian restaurant was amazing! Is a beautiful property. The staff were not very friendly, accommodating and did not go out of their way to make me comfortable. I would have booked a second night if they had. The check in was poor - we were more of a nuisance to staff when checking in. No one answered the phone in reception or room service when we called. 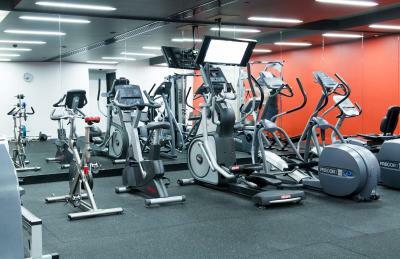 The gym facilities were very awkward to get to and the bar and restaurant in the evening were hopelessly understaffed. Had to wait 20 minutes for a glass of wine. The breakfast was excellent and the room clean and tidy. Noise from the ceiling pipes kept us awake. No proper kinen for the third person and should have had a more comfortable bed. THE LOCATION TO THE CITY WAS ALRIGHT THE STAFF WERE VERY FRIENDLY AND HELPFUL. FIRSTLY YOU ADVERTISE FREE WIFI, THREE TIMES I CONNECTED TO THE WIFI LINK ONLY TO BE CUT OFF AFTER 24 HOURS. secondly THE BED WE HAD WAS ACTUALLY BROKEN IN THE MIDDLE PROBABLY THE WORST THING I HAVE SLEPT ON IN MY LIFE, AND I WAS IN THE ARMY FOR 9 YEARS. THIRD THE BUFFET BREAKFAST WAS VERY ORDINARY NOT WHAT I HAVE HAD AT OTHER HOTELS. Staff were not as friendly as I expect from this type of property. Parking poor. 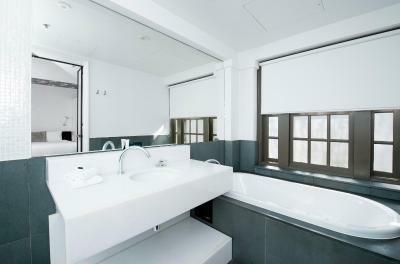 Lovely building with great bathroom. The bed was a bit saggy. Like the style. The room was nicely set out, like the fittings. Great location. Restaurant is good for dinner. Close to lake and excellent for morning walks around the lake.